n the wake of the World Health Organization’s announcement Monday that Zika virus constitutes a public health emergency, research groups and public agencies are mobilizing to tackle the emerging infection and its suspected links to a devastating form of a birth defect known as microcephaly. WHO officials emphasized the lack of a working vaccine, the absence of a reliable blood test for the virus and the dearth of natural immunity in the Western Hemisphere. 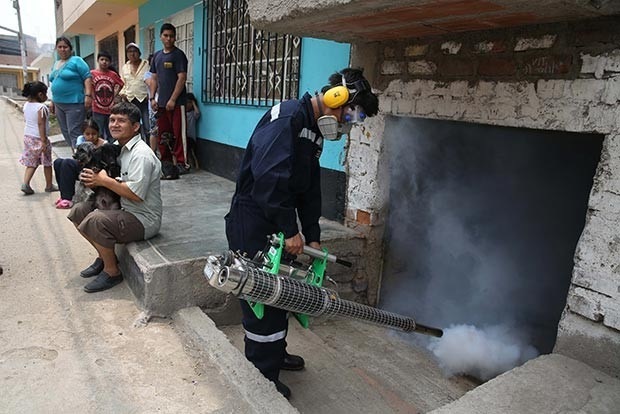 Their recommended first steps are to control the disease’s vector, the mosquito known as Aedes aegypti, and for at-risk women to take precautions to avoid mosquito bites. The sudden appearance of the virus in the Americas — and the seemingly new tie to the birth defect where infants’ brains don’t fully develop during pregnancy — underscore the huge gaps in our knowledge about the disease, said Fred Hutchinson Cancer Research Center virologist Dr. Trevor Bedford. Any infection carries its own set of mysteries. But the Zika outbreak is frustratingly puzzling, even for a relatively new disease, Bedford said. “At the moment it seems like there are a huge number of questions, more so than I’m even used to in these situations, [that is], emerging viral diseases,” he said. To that end, we asked Bedford and other infectious disease experts at the Hutch to point out what we still don’t know about Zika — and how research groups may start to plug those holes in the effort to halt the virus’ spread.